Ofelia “Ofie” Gutierrez sued her opponent, Esequiel “Cheque” De La Paz, to whom she lost in the May 22 runoff election for Kleberg County Justice of the Peace, Precinct 4. De La Paz won by a tally of 318 to 312. On June 8, Francisco Alvarez, an attorney for Gutierrez, filed a six-page petition in the 105th District Court in Kingsville. It alleges more than six illegal votes were included in the “final certified election” count. The court document contended that “a rash of new voter registrations” were filed in the last days before the election by individuals who resided outside the “territorial boundaries” of the precinct. It also charges voters fraudulently claimed an address “that was not physically able to accommodate” them. “I think that the number we have determined will be substantial enough to sway the outcome of the election in favor of Ms. Gutierrez once those votes are cast aside,” said Alvarez. On Monday, he told the Caller-Times he believed the evidence obtained on the contestant’s behalf will show that some individuals who voted for De La Paz did not reside within the precinct. The lawsuit followed a recount requested by Gutierrez conducted by the Kleberg County Democratic Party. Such responsibilities are generally in the domain of the political parties, even if county resources were utilized to administer the election. The Kingsville Record reported there was no Republican candidate on the other side of the race; thus, the winner of the Democrat runoff will run unopposed for Justice of the Peace for Precinct 4 in November. In 2014, Gutierrez unsuccessfully challenged De La Paz, the incumbent who has held the position since 1995. For the past five years, Gutierrez served as deputy for the Kleberg County Clerk’s Office. Previously, she acted as deputy clerk in the Kingsville Municipal Court for 13 years. This race marks the fourth time this year that a losing Texas Democrat candidate alleged fraud in a primary election and brought suit. Breitbart Texas reported that Starr County challengers Leticia Garza Galvan and Martie Garcia Vela filed a lawsuit after coming up short on votes in their respective March 6 primary bids for county offices. 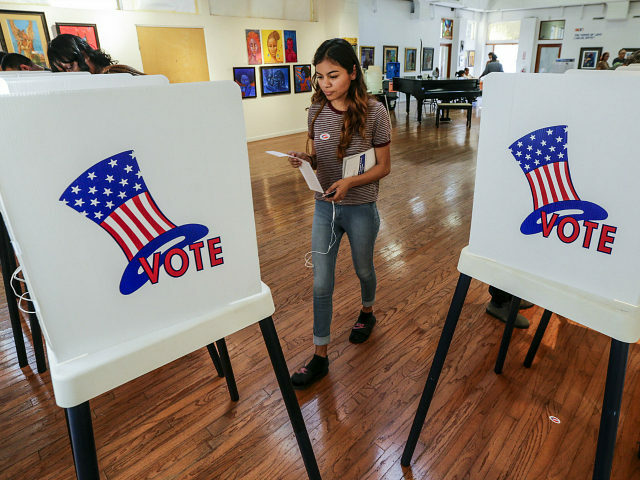 Their complaint claimed they lost as a result of numerous in-person irregularities, illegal vote harvesting, mail-in ballot fraud, as well as the county’s record keeping failures, inability to secure ballot boxes, and official misuse of power. Similarly, Breitbart Texas reported two former district judges who squared off in March over the Democratic nomination for Dallas County District Attorney wound up in a legal fight. Losing candidate Elizabeth Frizell sued winner John Creuzot, alleging that mail-in ballot voter fraud cost her the primary win. In the petition, she also sued the Dallas County Democratic Party chair, county elections administrator, and the sitting Republican DA.